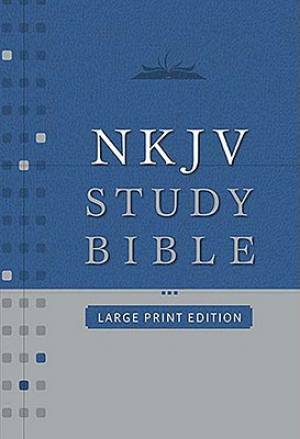 The best-selling NKJV Study Bible is now available in an easy-to-use large print edition. 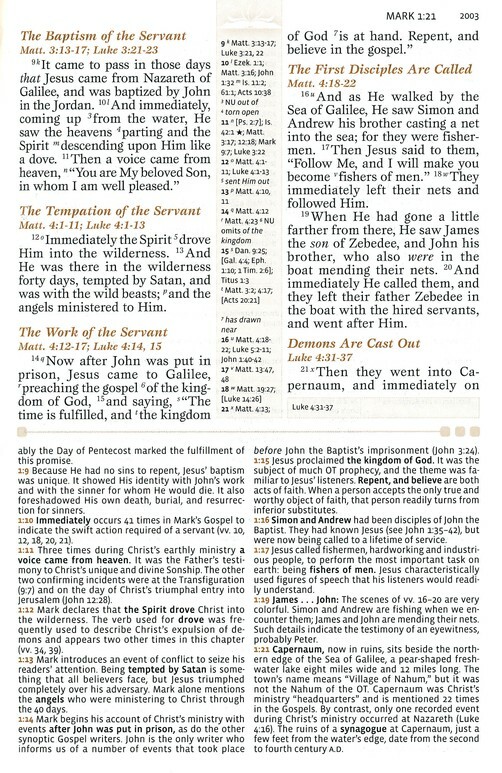 Chosen by pastors and lay leaders alike, The NKJV Study Bible is the cornerstone Bible for anyone interested in serious Bible study. This NKJV Study Bible, Large Print Edition, also includes a 14-page section of newly created full-colour maps and more than 15,000 study notes that help you understand the text and apply the Bible to your life. Additional features include in-text maps, Quick View charts, a prophetic reference system, and expository study notes. Word studies keyed to Strong's Concordance help you access terms in the original languages. In-depth articles on key topics and timelines of each book also allow you to take your study as deep as you want. This Bible has the mind of a scholar and the heart of a pastor. Let it take you deeper into the Word than ever before. NKJV Study Bible: Black, Bonded Leather, Large Print, Thumb Index by Thomas Nelson was published by Thomas Nelson in October 2009 and is our 17577th best seller. The ISBN for NKJV Study Bible: Black, Bonded Leather, Large Print, Thumb Index is 9781418542108. Be the first to review NKJV Study Bible: Black, Bonded Leather, Large Print, Thumb Index! Got a question? No problem! Just click here to ask us about NKJV Study Bible: Black, Bonded Leather, Large Print, Thumb Index. Does the NKJV Study Bible: Black, Bonded Leather, Large Print, Thumb Index contain the words of Christ in red and what is the ISBN? A:Yes the NKJV Study Bible: Black, Bonded Leather, Large Print, Thumb Index does contain the words of Christ in red, we can also confirm that the ISBN number is 9781418542108. Does this edition have the words of Jesus printed in red?